Mullakatte Sathyanarayana Girish from Bangalore, Other Graduate. RECRUITMEENT EMGPLOYEE RELATIONS PAYROLL COMP AND BENEFITS TRAINING INDUSTRIAL RELATIONS.. GREEN FIELD AND STAR.. EMPLOYEE ENGAGEMENT PERFORMANCE MANAGEME..
are one of expert skill area's of Mullakatte Sathyanarayana Girish . 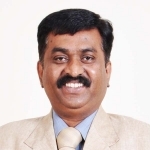 Mullakatte Sathyanarayana Girish is working in Human Resources industry.